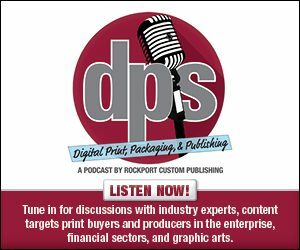 GPA, the market leader in substrate solutions for offset, digital, and wide format printing, announces the launch of their 2017 Print & Design Contest. Now in its 12th year, the contest continues GPA’s tradition of honoring graphic arts professionals for creating exceptional printed pieces using GPA substrates. Entries will be accepted now through October 20, 2017. Entries will be evaluated by a panel of distinguished industry experts based on uniqueness of design, application use, quality of printing, complexity of production, and number of GPA substrates used. A Best of Category winner will be selected from each of the six categories; from those six, one is chosen as Best of Show. Best of Category and Best of Show winners will receive a framed copy of their winning piece, a monetary prize, and industry recognition. Entries that do not win Best of Category or Best of Show will be eligible for the Award of Distinction, which recognizes six entries that made a lasting impression on the judges. Award of Distinction winners will be selected based on their merit regardless of the category they were entered under, and will receive a framed certificate and industry recognition.